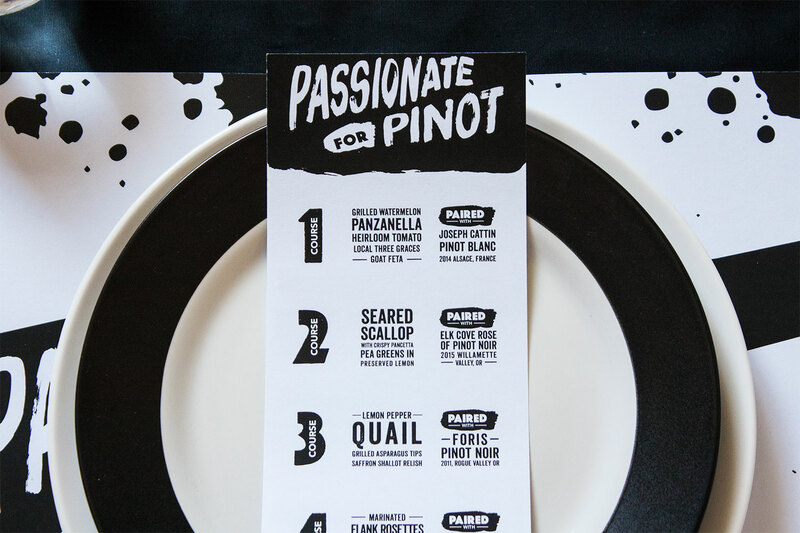 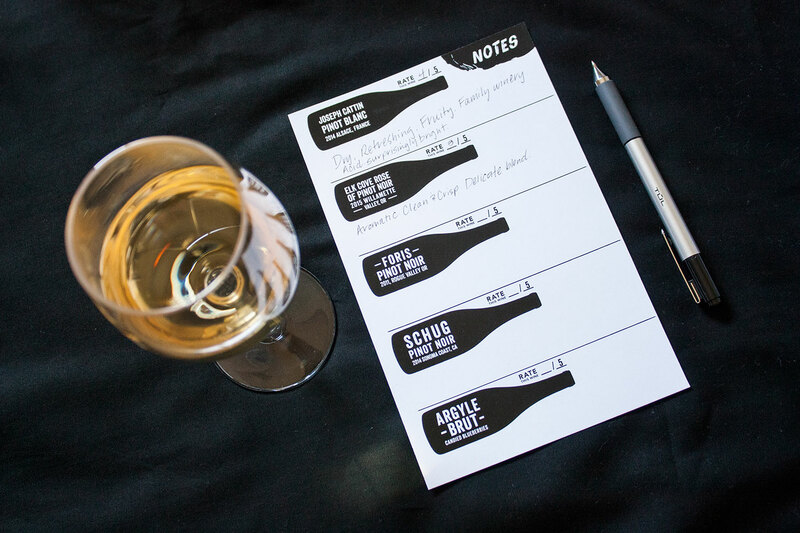 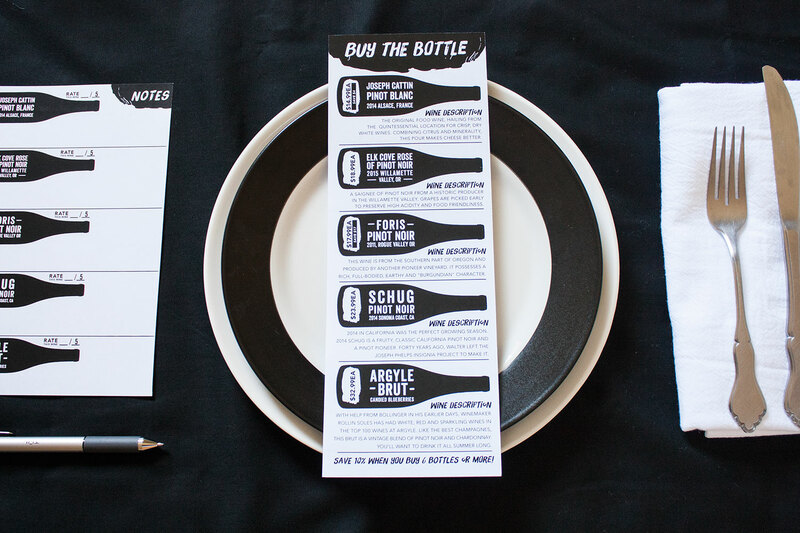 A high contrast place setting was created to provide a bold yet clean accent to the course presentation of Passionate for Pinot. 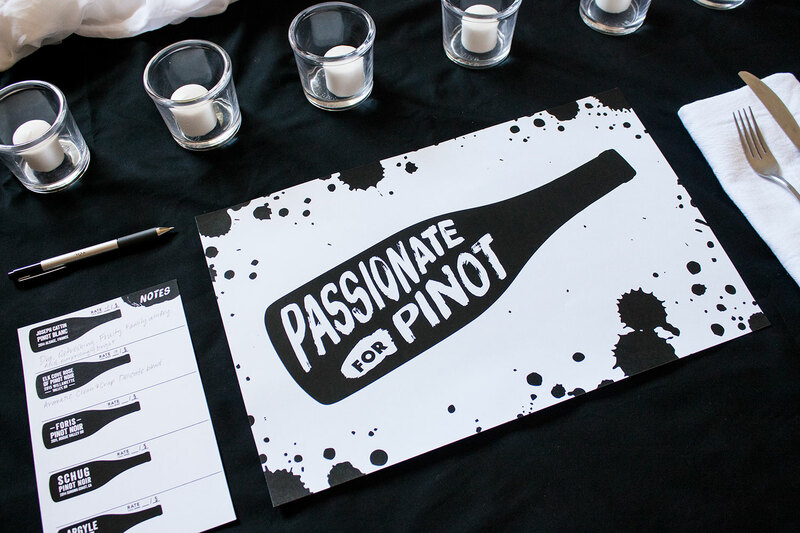 Spills, stains and strokes of wine are paired with block san serif typefaces and inky brushed lettering in this strong grid-based design. 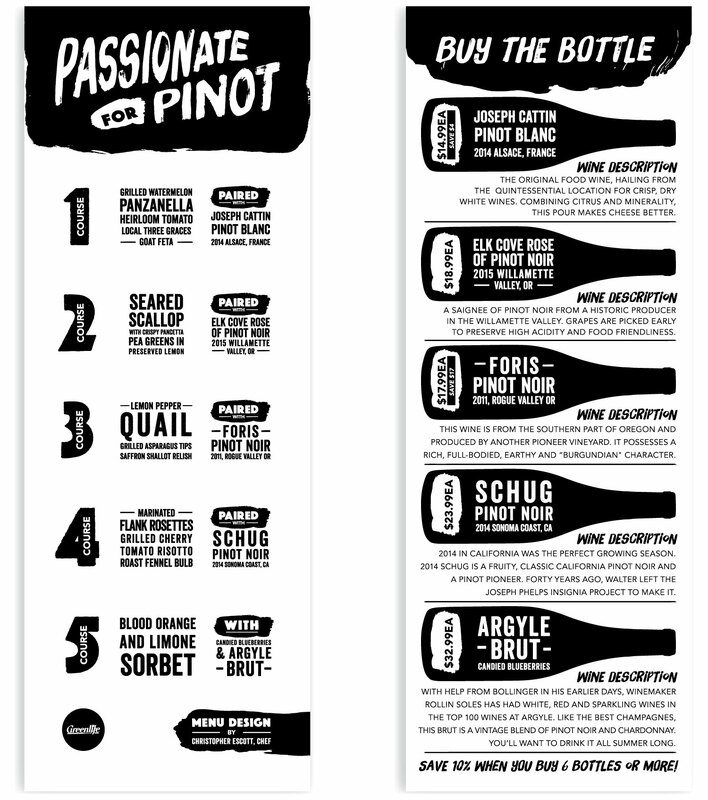 Menu copywriting by Caitie Forde-Smith .